Learning yoga basics is really important if you want to make a career out of it. People today are conscious about their health and their mental state and therefore they want to learn yoga which would allow them to stay fit and healthy. Many people today practice yoga because they want to tackle their life challenges in a positive way. This has given rise to a new set of yoga trainers who are at the forefront of teaching yoga. 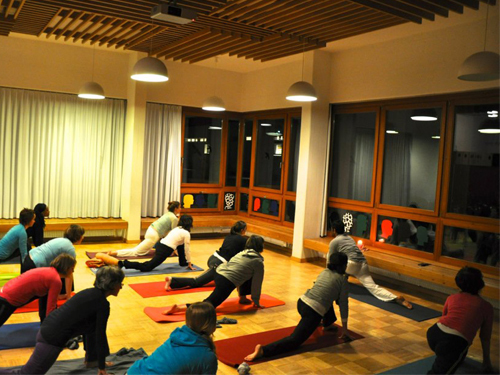 If you want to become a yoga teacher in the future you will need to look out for 200 hours yoga teacher training. This would allow you to ensure that you get the best training experience and become a qualified professional in the future. Even if you know a lot about yoga you will have to go through some professional training that would allow you to get the right knowledge and information. 200 hours hatha yoga teacher training has become the basic requirement for those who want to become yoga professionals in the future. With this, you can add some credibility to your profile and get a job at some of the best yoga schools in the country. India is the best place where you can learn yoga and therefore you can look for 200 hours yoga teacher training in India. The schools here provide excellent yoga education and experience you can get. Avatar Yoga School provides 200 hours yoga ttc in Rishikesh for those who want to become yoga professionals in the future.